July 15, 2018 (Joseph Thomas - NEO) - Time Magazine's article titled, "Thailand's Leader Promised to Restore Democracy. Instead He's Tightening His Grip," reflects Wall Street and Washington's growing displeasure with the current Thai government and its seemingly successful efforts to pivot the nation away from US-backed proxies including the ousted regime of Thaksin Shinawatra and his Pheu Thai political party (PTP), and toward a more multipolar footing in Asia and internationally. 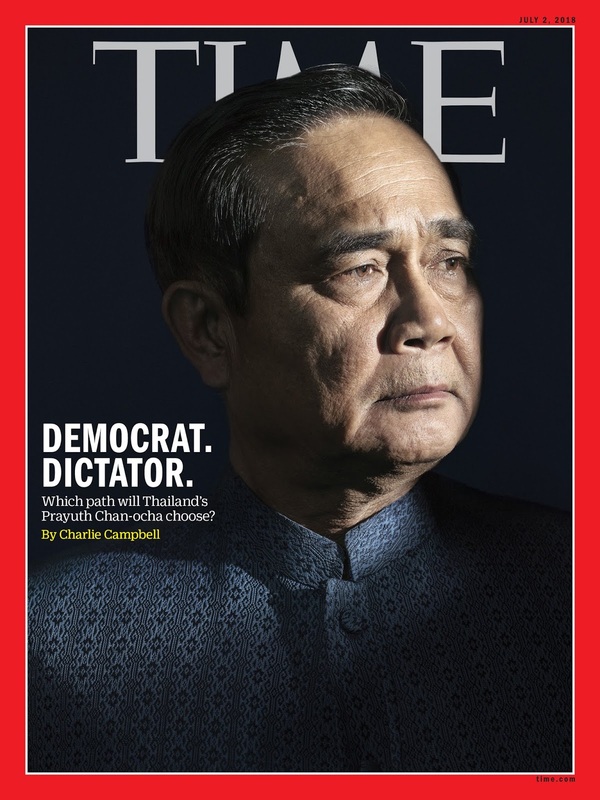 For more than a decade, Thailand has been wracked with color-coded street protests between the typically rural supporters of Yingluck and her brother Thaksin-who served as Prime Minister from 2001 to 2006-and their mainly urban opponents, backed by the powerful royal palace, military and judiciary. The pro-Yingluck faction wear red. Their opponents wear yellow.